DVI-D Dual Link Cable. For use with all modern digital monitors, projectors, and TFT/LCD Flat Panel Displays. Dual Link digital connection supports display resolutions of up to 2560 x 1600. 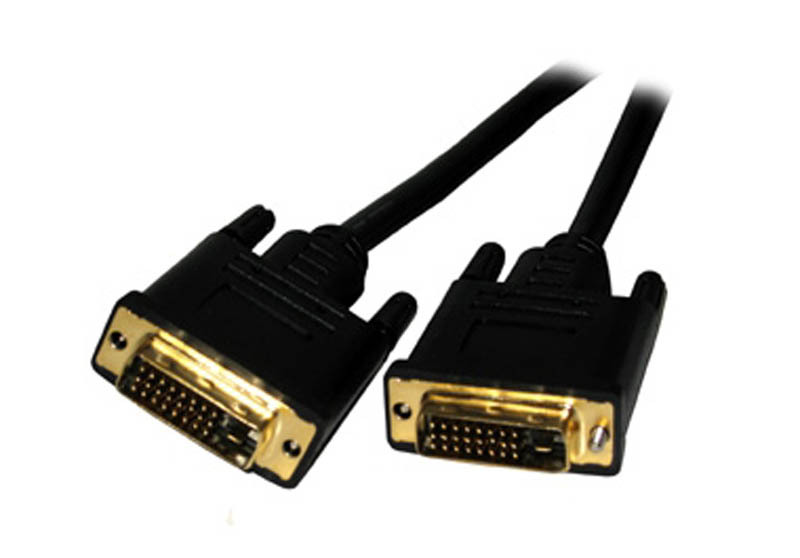 DVI-D Dual Link Male to DVI-D Dual Link Male..
DVI-D Dual Link Cable. For use with all modern digital monitors, projectors, and TFT/LCD Flat Panel Displays. Dual Link digital connection supports display resolutions of up to 2560 x 1600. DVI-D Dual Link Male to DVI-D Dual Link Male.